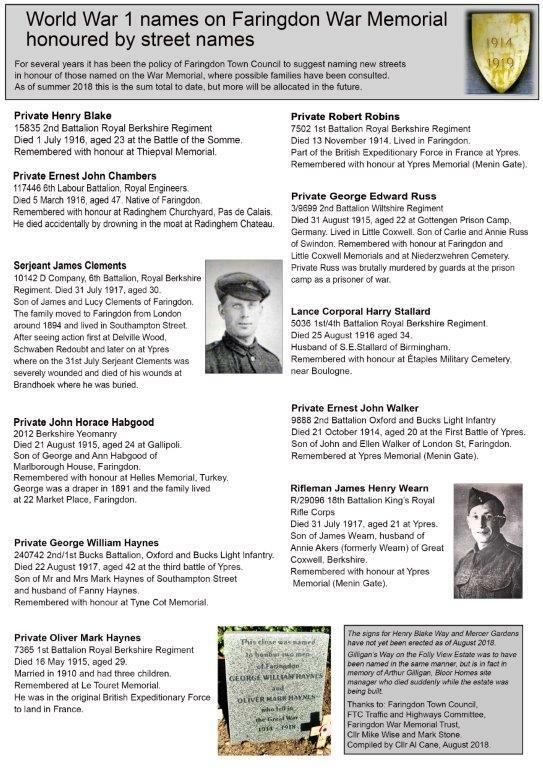 War memorial - Faringdon Community Website. 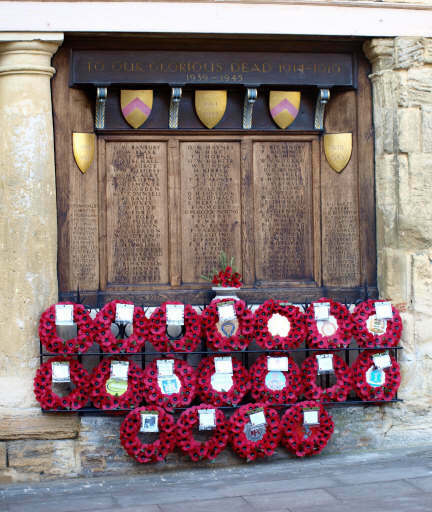 Every November those who died in the 2 world wars and other conflicts are remembered in Faringdon. There is a procession to and from church, 2 minutes silence, the last post and the laying of wreaths around the War memorial. ​A Concert and an exhibition of war memorabilia take place in the days leading up to November 11th. 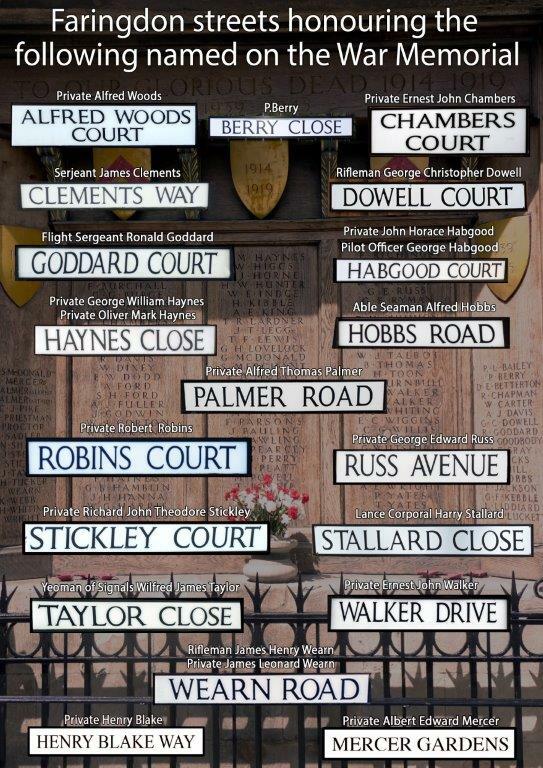 Since early in 21st century, Faringdon Town Council have used names on the memorials to name new roads and streets in Faringdon. World War I memorial records.